An in-depth review of the current state of your business will highlight opportunities and challenges that exist. This helps you focus your energy on the areas that matter most. 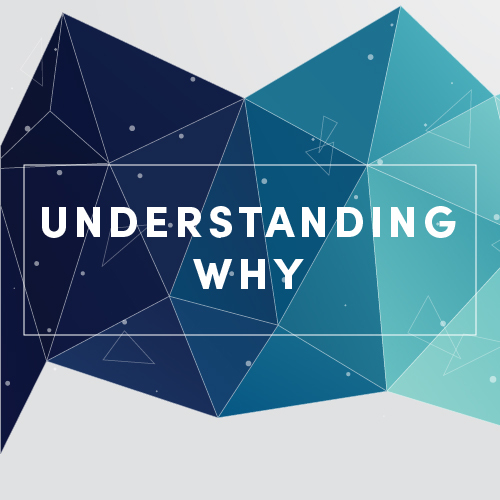 Our market research process is very successful in determining the deepest needs of your organization and provides you the unfilitered but constructive feedback for the answer to "why?". The discovery process of the Point of Impact Study includes experienced interviewers traveling to dealer locations, meeting with customers and staff in one-on-one, confidential conversations, asking questions customized for discovery about your business. The interviews are arranged by the dealer with the customers and staff you choose, to receive the best level of opinion and therefore the best data for the study. By visiting locations, we are able to observe staff interactions with customers and the general daily operation of each site, which contributes to a complete understanding of the functionality of the business. Dealers often ask, “why can’t we do this ourselves?” Past experience has shown that customers and staff are more open and honest with third-party external advisors than with people working for the business because they don’t want to risk damaging relationships. The identity of every person interviewed is confidential, and the conversations are very open allowing the gathering of meaningful information. After the discovery phase, the Point of Impact Study experts report back to you with direct quotes from your customers and staff, quantitative charts illustrating your current status, conclusions drawn on this data, and strategic suggestions for you for moving forward, and the direction your company could take to perform at a higher level. The Point of Impact Study helps create a strategic plan with action steps to achieve change in desired areas. You will gain a 360-degree view of your business, identifying its strengths and challenges from the perspective of your customers and employees. Point of Impact Study experts dive deep into your company and recommend a direction to take to increase satisfaction with customers and staff. This metrics-based study is perfect for businesses who are experiencing challenges and changes and want to dive deeper. Maybe you are seeing stagnant or decreasing sales growth. Perhaps you’ve had an unusual event that resulted in negative word-of-mouth. Or, maybe you’ve had an unexpectedly positive event and want to know if that success be replicated? Can we keep that momentum going? There are a host of reasons, each one unique to your business. This study will give you a window into what is happening. Impact 21 is a systematic look at your business that will help identify the strengths and challenges from the perspective of your critical stakeholders, customers and employees. It is a highly refined data gathering process that will look at your business objectively. At the heart of the study is an engaging survey that is easy for your customers and employees to complete. The survey is delivered via convenient online channels and is carefully designed to generate high engagement. High engagement ensures an excellent sample size and meaningful results. Equipped with hard numbers, you can make better business decisions. The outcome is a snapshot illustrating your business’s health and a clearer view of what’s happening in your business. The Impact 21 business advisors have the insight and experience to understand what this data means. The team interprets the data and will outline steps and coach your business in critical areas that need to be given attention. If you have an area that you would like to dig into, a third-party, objective voice might be able to help. History has shown that people share their thoughts and feelings more openly with a third party person. We offer custom research channels that allow you to pinpoint the information you need to make better, faster decisions.